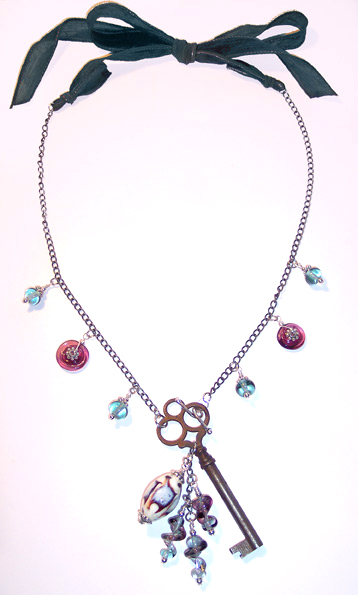 The lampwork glass beads in this necklace were made by the fabulous Cindy Gimbrone. 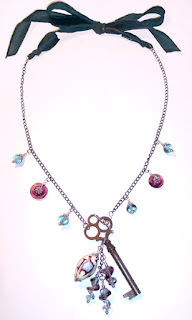 The length can be adjusted by the silk ribbon, but the key itself acts as a toggle clasp, so once you get the length set, you won't have to tie and untie it each time! 1. Cut the chain into two pieces. Attach one to the key with a jump ring, the other with the toggle. 2. 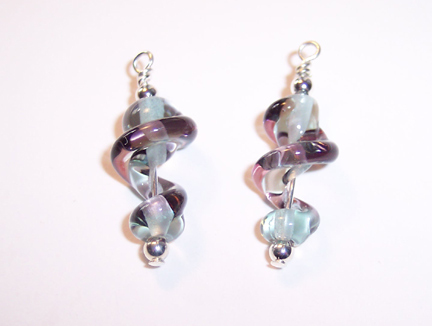 Turn all of your chosen beads into dangles. Make wrapped loops with wire or head pins. 3. 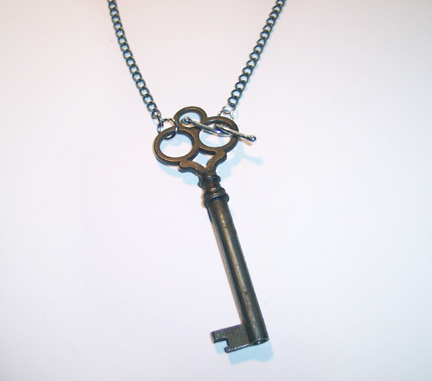 Arrange the dangles along the length of the chain, and also hang some from another short length of chain off of the key. Attach each with a jump ring. 4. Tie a piece of silk ribbon to each end of the chain. Glue the knots if it seems they might be slippery.